The Tr’ondëk Hwëch’in First Nation have seen many changes in their traditional territory over the past century, but their relationship and connection to the Yukon and Klondike Rivers and to the land remain. 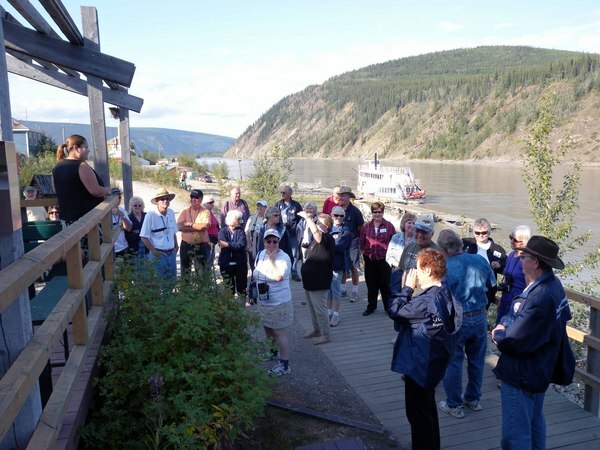 Based in Dawson City, the self-governing Tr’ondëk Hwëch’in citizenship of roughly 1,100 includes descendants of the Hän linguistic group, who have lived along the Yukon River for millennia, and a diverse mix of families descended from Gwich’in, Northern Tutchone and other language groups. Since their arrival in these lands, the Tr’ondëk Hwëch’in have awaited the annual arrival of salmon migrating up the Yukon River from the Bering Sea to spawn. Two species of salmon reach the mouth of the Klondike River: the chinook or king salmon in June, followed later in the summer by chum or dog salmon. Historically, the Tr’ondëk Hwëch’in employed fish traps and spears in shallow waters and dip nets deployed from birch bark canoes when harvesting salmon. Women skillfully cut up the catch, smoke dried it and then cached the fish for future use and trade. 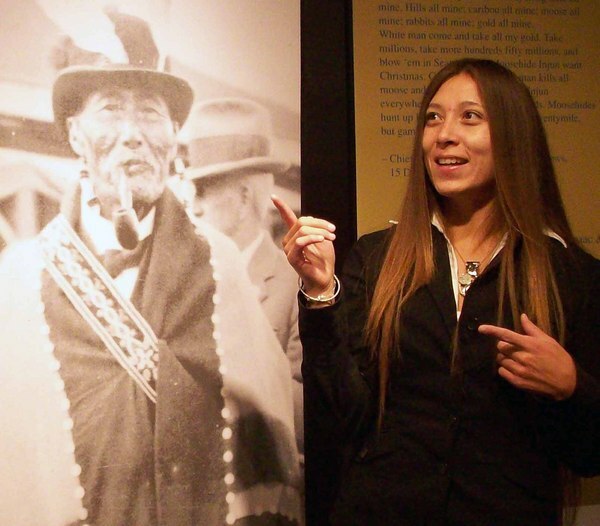 The discovery of gold had an immediate impact on the life of the Tr’ondëk Hwëch’in. Located across the river from boomtown Dawson, the long-established seasonal fish camp of Tr’ochëk became flooded with prospectors. The leader of the Tr’ondëk Hwëch’in, Chief Isaac was left little choice but to move his people to the relatively isolated hunting camp of Moosehide. 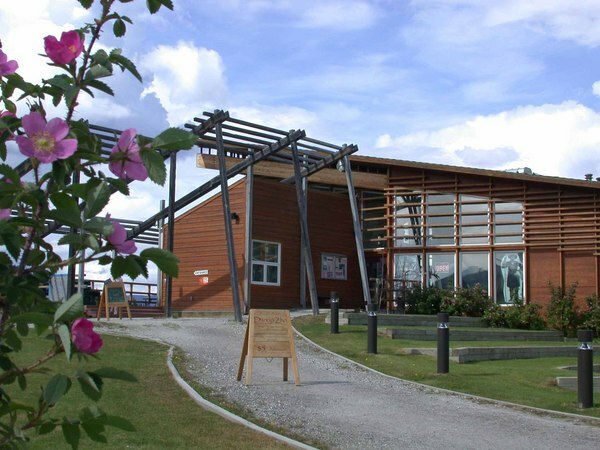 To learn more about the Tr’ondëk Hwëch’in, visit the Dänojà Zho Cultural Centre ('long time ago house'), situated on the bank of the Yukon River across from the Dawson Visitor Centre. 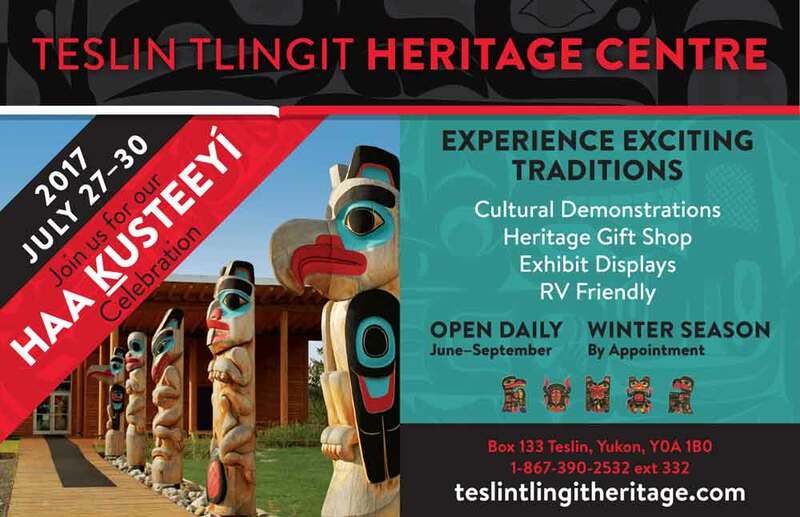 Call (867) 993-6768 or visit www.trondekheritage.com for more information on the Centre’s tours of the Hammerstone Gallery and Gathering Room exhibitions, walking tours along the Yukon River and a short film presentation that shares the story of countless generations on this beautiful land. 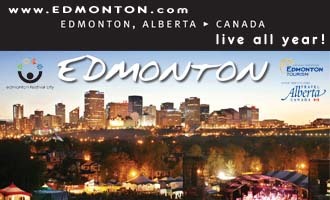 Cultural programs and hands-on activities are hosted daily, with ongoing special events throughout the summer. The Dänojà Zho Gift Shop has a large selection of hand-made First Nation slippers and jewelry, books, cards, beads, toys and fashions. The stories of the Elders, their words about the land, and material remains found throughout the region reflect the long and rich heritage of indigenous people living in Tr’ondëk Hwëch’in traditional territory. For thousands of years traditional knowledge has passed from person to person, generation to generation providing people with the skills and wisdom required to survive in Yukon’s challenging environment. Many of today’s Tr’ondëk Hwëch’in, or people of the river, are descendants of the Hän-speaking people who have lived along the Yukon River for thousands of years. They traveled extensively throughout their traditional territory harvesting salmon from the Yukon River and caribou from the Fortymile and Porcupine Herds. Moose, small game, and a variety of plants and berries provided additional food sources. Other raw materials, needed to make tools, clothing and shelter, were procured from this diverse and rich environment. The Hän traded with neighboring First Nations people and maintained interrelations through family connections and frequent gatherings. In the mid-19th century, European fur traders and missionaries established a presence in the territory. Contact with the newcomers presented new challenges and opportunities for the Hän. Trade increased and new goods and economic practices were introduced. The Hän used a combination of traditional and newly introduced skills, goods and materials to maintain their survival and assist the newcomers. In the 1880s gold was discovered in the Ch’ëdäh Dëk, or Fortymile River area – a site used by the Hän as a caribou interception point and grayling fishing spot. In 1896 more gold was discovered near Tr’ochëk, at the confluence of the Yukon and Klondike Rivers. The Klondike River hosted abundant salmon stocks and the Hän had an encampment at Tr’ochëk that was used seasonally for hundreds of years. The ensuing rush brought thousands of people to Tr’ochëk and surrounding areas. Recognizing the influences that the newcomers would have on his people, Hän leader Chief Isaac worked with the Government of Canada and the Anglican Church to move his people from Tr’ochëk to Moosehide – 5 kilometers downriver. Chief Isaac was respected among his own people and newcomers alike. While he welcomed the stampeders, “he never failed to remind them that they prospered at the expense of the original inhabitants by driving away their game and taking over their land.” Chief Isaac envisioned the impact that new lifestyles would have on Hän traditional culture. In response he entrusted many songs and dances to First Nations people living in Alaska. During the years following the gold rush, the Hän worked to find a balance between their traditional lifestyle and the ways of the newcomers. Yukon First Nations set the Land Claims process in motion during the 1970s. Tr’ondëk Hwëch’in began negotiating their individual Land Claim in 1991. The Tr’ondëk Hwëch’in Final Agreement was signed on July 16, 1998 and came into effect on September 15, 1998. The government is growing and evolving to support citizens in ensuring a strong and healthy future while maintaining connections to traditional knowledge and the land. Promoting the Hän language, learning traditional skills from the Elders, and investing in youth have all strengthened Tr’ondëk Hwëch’in development. This respect for their heritage and dedication to the future is reflected in a variety of ways. The bi-annual Moosehide Gatherings, the establishment of Dänojà Zho Cultural Centre, the designation of Tr’ochëk National Historic site, and the return of the traditional songs, which were once entrusted to Alaskan First Nations people, all reflect Tr’ondëk Hwëch’in investment in their future and pride in their rich heritage.